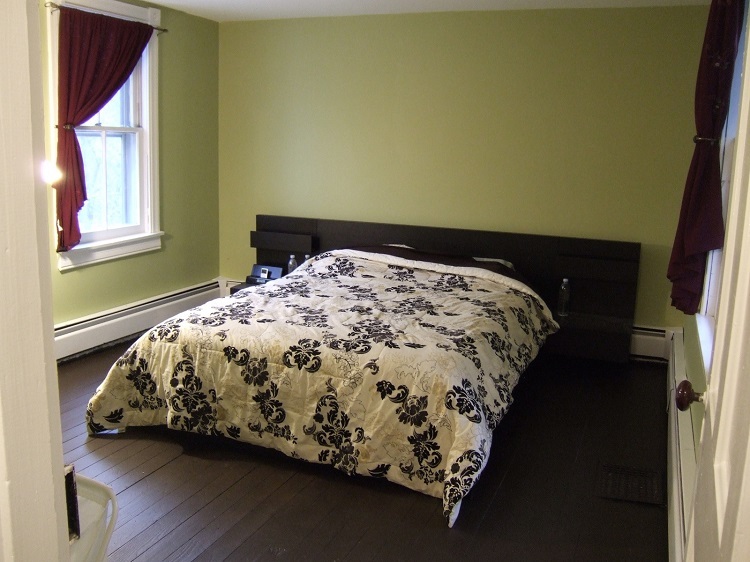 We have some big plans for the bedroom, but we weren’t planning on tackling that for a while. Turns out, we’re tackling it now. You know why? Because the tops of our dressers were messy. “Clean off the dressers” was on my to-do list. Naturally, I said “The easiest way to clean them off and keep them clean is to get rid of them.” So I removed my dresser (it’s been empty for 9 months anyway). 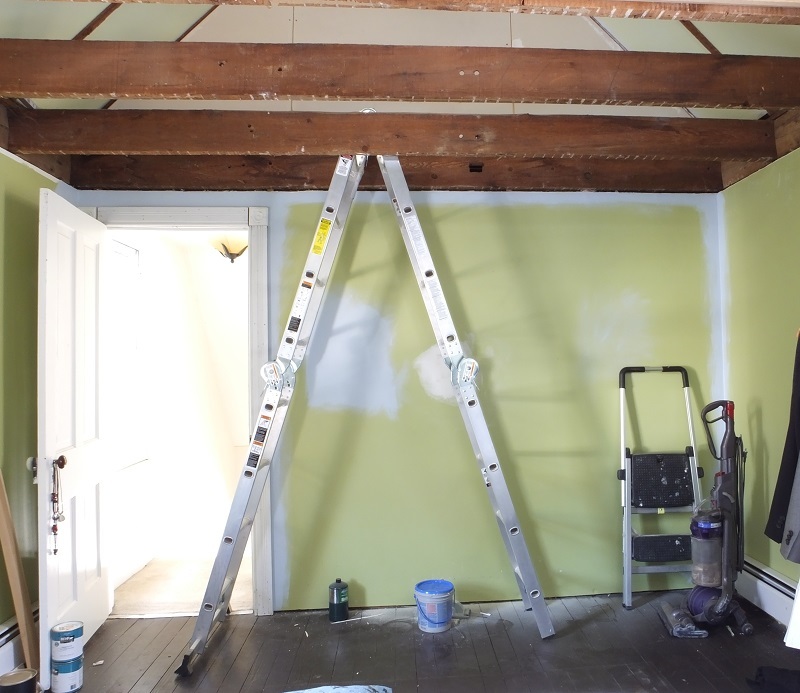 Then, of course, since there was a large section of green wall exposed, it was the perfect time to pick new paint colors and begin painting. Naturally. Right now, there is still just a swatch on the wall of our color. There is still a whole lot of prep work to be done, including finally mudding a wall we built 2+ years ago. As you can see, my paint was ready to go. 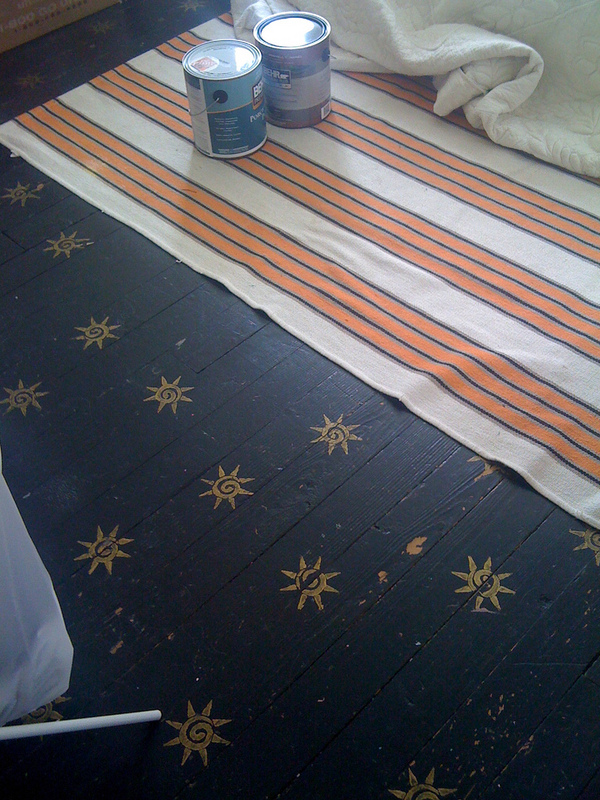 We slept in the living room when we first moved in so we could repaint the floor and walls before setting up our bedroom. 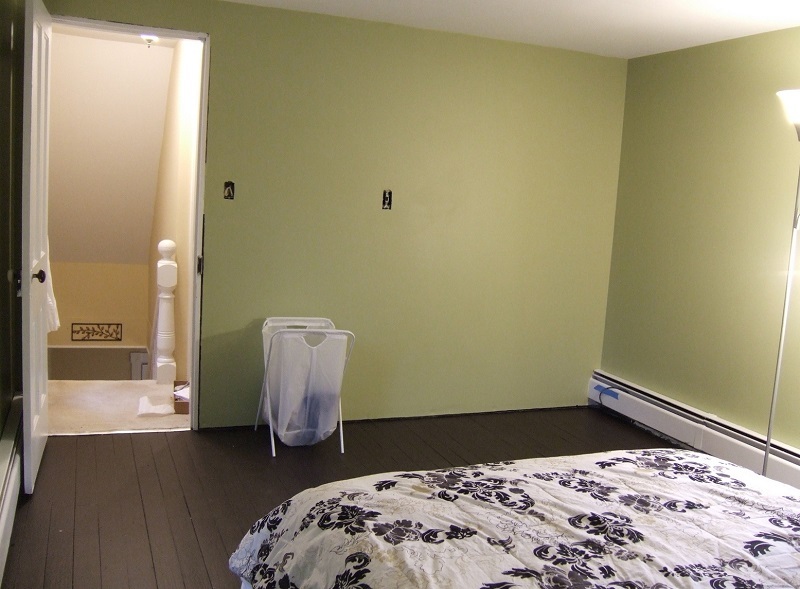 I painted the walls green (a pretty green, but not us–I didn’t realize that at the time), and the floor a black-brown. The look was okay to me, I liked them, but I was never crazy about them. I picked them out because the dimensions were exactly what we needed. Because we lost our night stands, we added a shelf to the back of our headboard. Such an exciting project. Can’t wait to see what the bedroom will become. I want to start something big too, this is so inspiring! That’s great! Do you have any ideas for a new project? Someone certainly had fun with the floor. But, it looks like you are well on your way- can’t wait to see the updates and finished project!